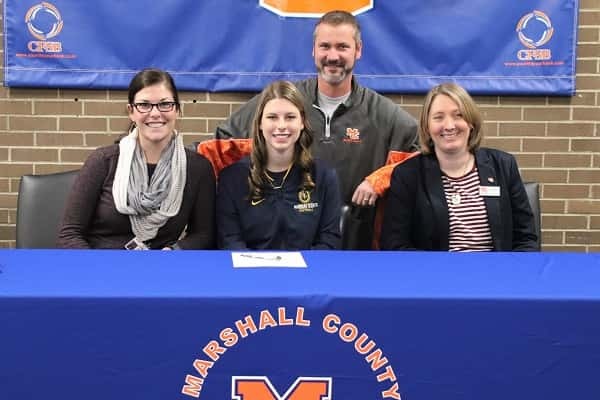 Gracey Murt signed her National Letter of Intent Wednesday at Marshall County High School joined by her mother Tiffany Murt and grandfather Keith Murt. 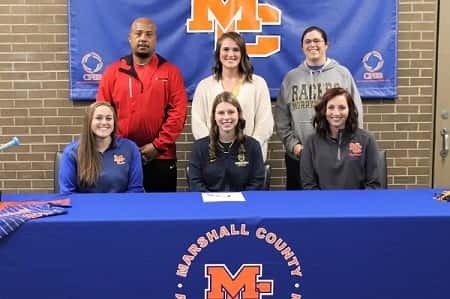 Marshall County softball player, Gracey Murt, signed her National Letter of Intent Wednesday to play softball for Murray State University. Last spring, Gracey helped lead the Lady Marshals to a district and regional championship and berth in the state tournament. 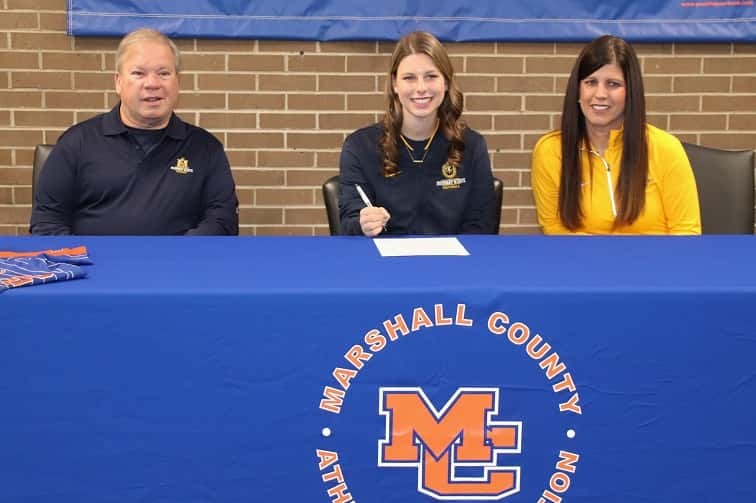 Coaches joining Gracey at her signing (seated L-R) Jordan Gilland and Mallory Newton. Standing (L-R) Mario Johnson, Cheyanne Ludovissie and Kara Hamby. As a junior, Gracey received many awards including All-District Team, All-Region Tournament Team, member of the East-West All-Stars, First Team Academic All-State, First Team All-Purchase and Tribune Courier Spring Lady Marshal of the Year. A huge key for the Lady Marshals offense this past season, Gracey led the team in home runs with five and triples with seven. She had 36 RBIs and 37 runs scored. Her batting average was .360 with a slugging percentage of .648 along with seven stolen bases. Newton said Gracey wants to be the best and holds herself and her teammates accountable and in pressure situations, she wants to be up to bat. Newton added that when other teams step up, Gracey steps up more and fights harder. 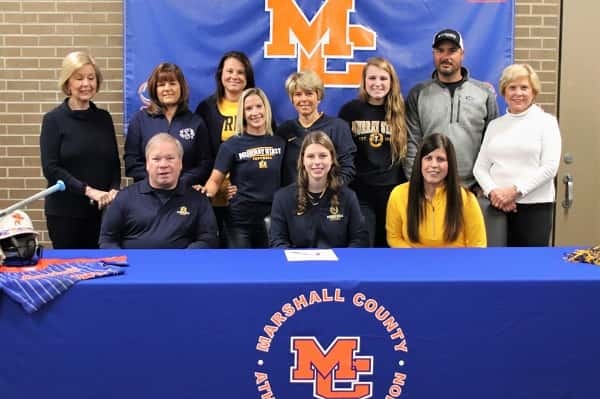 Gracey was supported by many family members at her signing to play softball at Murray State. Also present at Gracey’s signing, coaches (L-R) Haley McHuiston, Dan Langhi and MCHS Principal Patricia Greer. 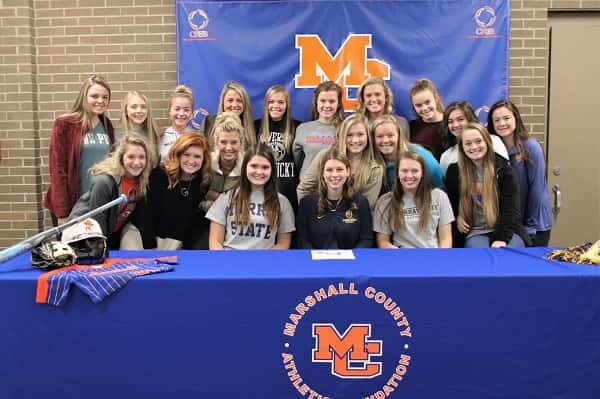 The Lady Marshals softball team was there to congratulate Gracey on her signing with MSU. 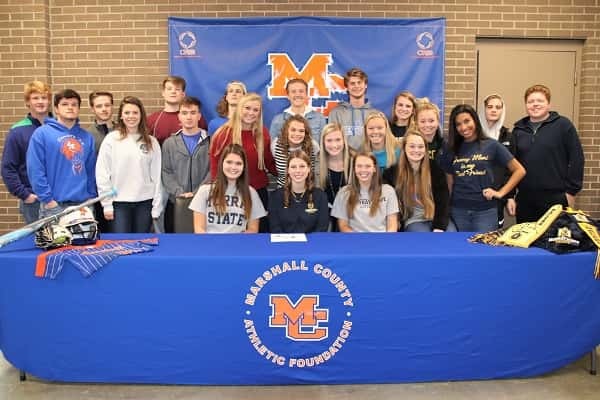 Many friends joined in to show their support for Gracey who signed her NLI Wednesday morning at MCHS.